In 1963 Dr. Pickens traveled to Alabama with freedom riders to help register black residents to vote and to integrate lunch counters. Dr. Pickens marched with King in Alabama and attended Dr. King's March on Washington. She said that she never thought she would live to see a black President but forty-five years after the March on Washington Dr. Pickens traveled to Washington DC with her husband to attend Barack Obama's inauguration on the mall in Washington DC. Dr. Pickens with her beloved older brother Sidney James Toombs II who pre-deceased her. 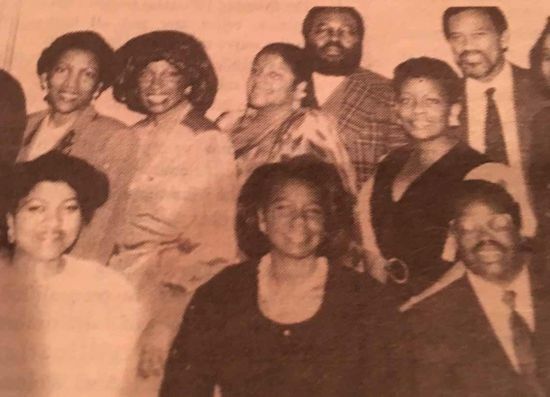 Dr. Pickens (top row center) with members of the Black Psychiatrists of Maryland in 1980. Dr. S. J. Pickens of 2301 Donner Ave in Ponca City passed away unexpectedly of natural causes at age 73 on October 21, 2017. Dr. Pickens was born in Philadelphia, PA on Sunday, June 11, 1944 to Mildred Lurene Shields and Sidney James Toombs Sr. Dr. Pickens grew up on the 2100 block of Diamond Street and the 2400 block of 29th Street in Philadelphia. Dr. Pickens was proud of her family. In 1900 her grandfather Norwood Shields who she loved dearly was one of the first black men to graduate with an advanced degree from Cornell University. His first job was in Indian Territory at Langston College where Dr. Pickens' mother Mildred was born in 1907. Her grandfather later moved from Langston to Wilberforce, Ohio where he was a professor of agriculture at Central State College. 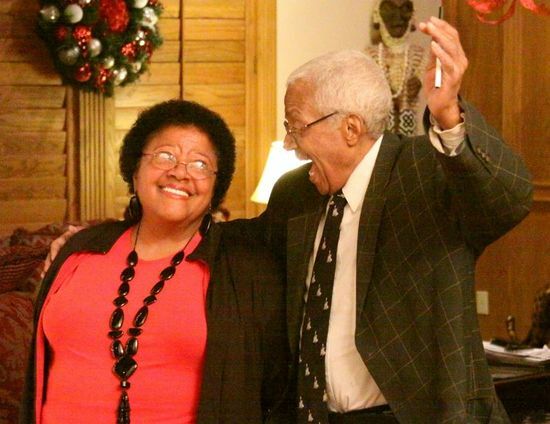 Dr. Pickens and her beloved older brother Sidney loved to spend summers with their grandparents in Wilberforce, Ohio where they were taught the three cardinal rules of the Shields Family. Rule 3. Play the hand you are dealt - and play the hell out of it. Dr. Pickens graduated from Germantown High School in Philadelphia and received her bachelor's degree from Temple University in 1965. 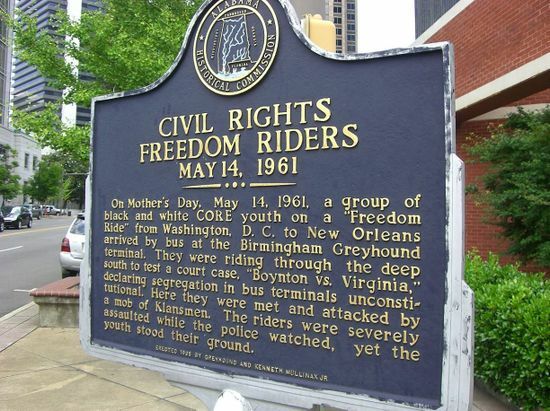 One of the proudest events of her life occurred in 1963 when Dr. Pickens traveled to Alabama with freedom riders to help register black residents to vote and to integrate lunch counters. Dr. Pickens marched with King in Alabama and attended Dr. King's March on Washington. She said that she never thought she would live to see a black President but forty-five years after the March on Washington Dr. Pickens traveled to Washington DC with her husband to attend Barack Obama's inauguration on the National Mall in Washington DC. In 1979 Dr. Pickens entered Medical School at the University of Maryland and was the oldest member of her graduating class. She earned both her M.Ed. and M.D. degrees from the University of Maryland. While in residency at the University of Maryland's Institute of Psychiatry and Human Behavior, she was selected as a Falk Fellow and is the recipient of the Brody Award. Upon completion of her residency in psychiatry at University of Maryland Medical School, Dr. Pickens spent 10 years working in the Maryland State Health System as Clinical Director at Springfield Hospital and at Spring Grove Hospital. Dr. Pickens married Hugh Pickens on December 24, 1984 with whom she recently celebrated 32 years of marriage. They lived in a 125 year old Victorian Mansion in Baltimore for 20 years. In 1989 Dr. Pickens was president of Pickens Comprehensive Health Services, a health care company serving the inmate population of the Baltimore City Jail. Dr. Pickens spent the last years of her professional career as Vice President of physician services at Green Spring Health Services, Inc., where she supervised fifty physicians and nurses. Dr. Pickens was a board member of Friends Psychiatric Research Associates; is the past president of the Black Psychiatrists of America, Maryland Chapter, past president of University of Maryland Black Faculty and Staff, an examiner for the American Board of Psychiatry and Neurology, and a member of the American Psychiatric Association and Southern Psychiatric Association. Dr. Pickens was inducted into the American College of Psychiatry in 1996, one of only three physicians in the state of Oklahoma who have been so honored. In 1999 Dr. Pickens retired and in 2005 decided to make her home in Ponca City, her husband's home town. Dr. Pickens was active as a docent at the Marland Mansion, served on the board of directors of Ponca Playhouse, and with her husband sponsored and produced the annual "Oklahoma Pride" series at Ponca Playhouse producing "The Broken Statue" and "Lydie Marland in the Afterlife." Dr. Pickens was also active in Newcomers. Dr. Pickens was one-quarter Cherokee and after moving to Oklahoma she took up collecting and designing Native American jewelry and artwork, putting together one of the finest collections of turquoise jewelry in the United States. For thirty years in Baltimore, Dr. Pickens opened her home for Halloween when she invited children into her home to learn about crystal and fine art. The tradition continued in Ponca City where for the past twelve years she has distributed rolls of pennies to children and as she remembers their names from year to year and talks to them about their lives. In 2016 over 450 children visited her home during Halloween. The Pickens family will be continuing Dr. Pickens' Halloween tradition. Dr. Pickens was especially proud to have sponsored the first formal dinner in the Marland Mansion in 70 years when she and her husband invited ten guests to share dinner at the mansion with her in 2016. Dr. Pickens is survived by her husband Hugh Pickens, her stepdaughter Carolina Pickens Jachnke of Rohnert Park, CA, her stepson Daniel Pickens of Stockholm Sweden, and step-grandchildren Keanu Jahncke Pickens of Rohnert Park, and Lily Jane Pickens, and Rory James Pickens of Stockholm. In addition she is survived by her nephew Sidney Jack Toombs III and his wife Lisa Toombs and two grandnieces Nia Nicole Toombs and Winter Joy Toombs, all of Philadelphia; by her niece Celeste Toombs of Durham, North Carolina; by her niece Stephanie Rose Jones and her husband Rahsaan Jones of Snellville, Georgia; by her cousin Strawberri Lucas of Newark, New Jersey; by her cousin Leonard Blake and his wife Barbara Blake of Columbus, Ohio; by her cousin Norwood Rainey, of Tuscon, Arizona; by her cousin, Sandra Fisher, of Los Angeles, California; and by numerous other relatives including Atreva and Clyde Vaughn Jr., Delena D. Johnson, Pamela Blake, Patricia Blake-Smith and Jonathon Smith, Lavern Williams, and Gwendolyn and Marcel Hollenger, and several other relatives. Additionally she is survived by her sister-in-law Gail Pickens-Barger and her husband Steven Barger of Port Neches, Texas. Her nieces Amber Barger & her husband, Caveh Masem of Houston, Texas; Rachel Barger Turnley & her husband David C. Turnley of Ann Arbor, Michigan; Derek Barger of Houston, Texas; and Grace Barger of Port Neches, Texas. A great-niece, Dawson Elizabeth Turnley of Ann Arbor, Michigan. Dr. Pickens is survived by her mother-in-law, Deloris Pickens of Ponca City, Oklahoma. Dr. Pickens was preceded in death by her mother Mildred Lurene Shields, father Sidney James Toombs, and older brother Sidney James Toombs II. Before she went to Alabama in 1963, where she was assaulted for desegregating lunch counters, her father told her never to flinch when she was struck by segregationists and to turn the other cheek when she was beaten. Before she left for the South, her father made her commit to memory the poem Invictus by William Ernest Henley which was her favorite poem and sums up her life. The Pickens Family held a "Celebration of the Life of Dr. S. J. Pickens" on November 25, 2017. "My wife told me that if she died, she didn't want people crying over her at a Memorial Service," said her husband Hugh Pickens, "she wanted us to wait a few weeks so people could put her death in perspective and then come together and celebrate her life with music and with people remembering the good times and telling stories about her." Anyone who knew Dr. Pickens and loved her was invited to the event. Dr. Pickens served on the Board of Directors of Ponca Playhouse for five years and produced and sponsored the Playhouse's presentation of "The Broken Statue" and "Lydie Marland in the Afterlife." Ponca Playhouse is where Dr. Pickens felt most at home in Ponca City," says Hugh Pickens. “It is where she wanted this event to take place." The board of the Playhouse voted to have the event go forward and every member of the board is contributing to honor the event including President David Wilkie, Vice-President Meghann Borum, Treasurer Kat Long, and board members Chad Anderson, Ryan Brown, Matt Duplissey, Matt Prater, Donna Rubio, Sam Stuart, and Debi Vap. "I have asked Dave Guinn, one of her oldest friends at the Playhouse, to produce and direct this event," says Hugh Pickens, "He will be assisted by Brandon Haynes of the NOC Music Department who will be musical director of the program, Donna Rubio, who is arranging for food and catering, Kat Long, handling lobby management, Meghann Borum, who is handling licencing, Ian Wood, who will provide spiritual direction, and many others." Hugh Pickens thanks the community of Ponca City for the overwhelming support they have given him and his family in this difficult time and especially thanks the people that knew Dr. Pickens and loved her who camee to her "Celebration of Life." This page was last modified on 28 June 2018, at 03:12.